This is the first post in a short series discussing Arkansas criminal charges related to prescription drugs. We are addressing this topic as the abuse of prescription drugs in our state, and throughout the country, has risen dramatically. Criminal prosecutions have become far more frequent as a result of this increase. It is imperative that you seek immediate legal representation if you or a loved one has been charged with a crime which relates to prescription narcotics. We will look at a few different topics over our next few articles. These will include why prescription related offenses are taken very seriously. We will also discuss the impact that search and seizure issues typically have in such cases. Unfortunately, many of our state’s residents often make the mistake of thinking that such a charge does not need to be taken seriously. This is often due to a belief that prescription drug cases are “no big deal” because they involve a substance which many people take legally and is prescribed by doctors. Such is not the case as some of society’s greatest problems are caused by non-banned substances such as alcohol. Prescription charges need to be addressed with a sense of urgency. 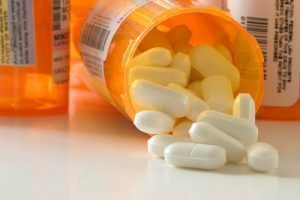 Prescription drug matters in Arkansas can lead to felony charges, misdemeanor charges, as well as allegations of drug trafficking. A conviction can also lead to harsher penalties for future criminal charges, prevent one from gaining employment, lead to the loss of federal student aid, and disqualify one from certain professions. In other words, if you have been charged with such a crime in Little Rock, or anywhere else in the state of Arkansas, it is crucial that you contact a criminal defense lawyer immediately.